It’s time to re-think the customer journey. Whether your customers are doing in-depth comparison shopping on their laptop at home, or checking Instagram on their phones, building a brand means turning every interaction into a personal connection. We craft our digital marketing strategies by looking at how customers interact with your business and finish with a custom campaign that makes every step of their journey meaningful. Need results now? 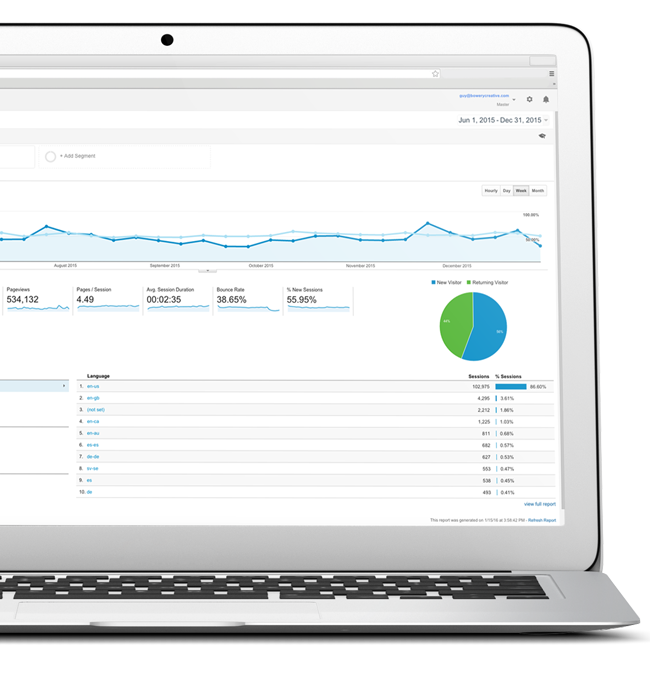 Paid ads can get you at the top of Google, or in front of your target audience in a hurry. With your help we’ll review all relevant ad networks and uncover the perfect targeting mix. Let’s put a compelling message in front of the right people. Whether you are looking for sales, leads, page views, or brand awareness, paid ads are often the quickest way to reach your online goals. Tried Adwords in the past with no luck? We’ll audit your account and use your existing data to get the odds in your favor. We’ll target traffic based on their browsing habits, demographics, and interests. We expertly manage your ad spend across Facebook, Twitter, Instagram, Pinterest and LinkedIn, driving conversions at the lowest cost. Have you ever abandoned an online shopping cart only to see an ad for the same product a few days later? Yeah… that wasn’t a coincidence… We can do that too. Capture leads and create unique buying experiences with automated online and offline messaging. Engage at just the right time with personalized email, in-app messages, SMS, and postcards. Want to make all that paid traffic pay dividends? We’ll get visitors to trade their email address for a newsletter subscription or promo code. Now you can contact them whenever you want for free!